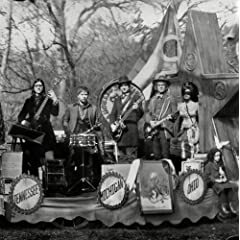 This entry was posted in Music and tagged Brendan Benson, Broken Boy Soldiers, Consolers Of The Lonely, Greenhornes, Jack White, Raconteurs, White Stripes. Bookmark the permalink. Excellent post. Hope to see even more excellent posts in the future. The hands down best album of 2008. Probably the best RNR album of the decade. I agree this is a classic album. They need to make another.